Before you even think about selling your home, read this important report. Ask these 26 critical questions before you sign! Buying or selling a home is probably one of the largest investments you will ever make. That is why it is important to choose the correct Real Estate Professional that will work to your benefit, to guard your equity and your future. Which Real Estate Professional should you choose? Some people have the mistaken notion that all Real Estate Professionals are the same. They sign with the first Real Estate Professional that comes along. Later, they realize they should have interviewed several people prior to signing. This report will help you avoid this mistake by providing you with some selection criteria. When you are choosing a lawyer, doctor or health care practitioner you would interview several people before you select an individual you are most comfortable with. The same rule applies to a real estate agent. To begin your search you might want to check with friends and neighbours. Satisfied customers are usually a reliable source. From this list of names, you may want to conduct some preliminary investigation and then an interview. Be sure you are completely satisfied with the answers to the following questions. Do you have any personal marketing materials I can review? Everyone has an image that is portrayed in their personal marketing materials including brochures, direct mail, listing presentation books, etc. Call all the names on your list and ask this individual to send you information prior to your meeting. When you receive this information You will get an impression about the person. Do these items look professional? If not, you may find yourself asking the question, "If they are not marketing themselves professionally, how will they market my home?" Also, keep track of this person's communication with you. Do they respond to your request for information, quickly and in a friendly, helpful manner? Do they treat you with dignity and respect? What is your sense of this person? Do they appear pushy and overbearing? Are you comfortable with them? Trust your feelings. If this person handles your requests in a less than professional manner, it is likely they will also handle potential buyers for your home the same way. You could lose a sale and even worse - the best price for your home. If you feel comfortable with this initial communication, invite the Real Estate Professional to make a listing presentation to you. You may want to meet with three or four Real Estate Professionals from different companies before you make a final decision. Are you a full-time or part-time Real Estate Professional? How long have you been working in my neighbourhood? Ideally, the Real Estate Professional should be working full-time, with at least 3 to 5 years experience, preferably in your neighbourhood. A part-time Real Estate Professional may not be able to keep up with the pace or complexity of today's rapidly changing marketplace. They may not be available when you need them most. When you select an experienced Real Estate Professional, You will be getting a track record, a roster of contacts for any services you need, and a host of creative, time-tested ideas for marketing your home. How many homes have you listed in the past six months and the past year? A Real Estate Professional's record of longevity is important. Even more important is the quality and success of this time, as reflected in a large number of listings. At the same time, however, a Real Estate Professional must have the resources and systems in place to market each of these homes successfully. How many homes have you sold in the past six months, and the past year? A Real Estate Professional may have demonstrated his/her ability to list homes. However, the real test is in the finding, negotiating and closing deals - that is, selling homes. How long do your listings remain on the market? Some people assume that a shorter time on the market is to their advantage. However, this may not be in their best interests. Keep in mind: If the average time on the market is faster than the average for the neighbourhood, ask why. Is the Real Estate Professional really effective, or is he or she low-balling the asking price to sell the home more quickly? Carefully examine the original asking price compared to the selling price. This gap will tell you how effective the Real Estate Professional is at establishing and obtaining the right asking price. What professional memberships do you hold? The minimum should be a fully licensed professional who is a member of the local real estate board and Multiple Listing Service®. Other affiliations are beneficial. However, the main focus should be the selling of homes. Do you have support staff working for you? Depending upon the nature of his or her business, some Real Estate Professionals hire additional staff. While this may not be an indicator of better service, it does suggest that a Real Estate Professional treats his efforts as a business. When an assistant handles the details, the Real Estate Professional is free to spend more time serving your needs. At the same time, however, you do not want to end up feeling like you are passed off to someone else. You should be kept informed of exactly what the Real Estate Professional is doing to get your home sold. A Real Estate Professional who is effectively working for you should ask pointed, specific questions about your home and situation. They should not simply fill in blanks on a form. By asking about your needs, a Real Estate Professional can create a plan of action for you, rather than using a cookie-cutter approach. How will you market my home for my best advantage? Real Estate Professionals have many tools in their toolbox, which includes the MLS® (Multiple Listing Service®) System, open houses, advertising, flyers, Internet, virtual tours, welcome brochures, for sale signs and personal networking. A Real Estate Professional should not use the same plan for each client. What worked for yesterday's seller may not get you the results you want. A Real Estate Professional should understand the effectiveness of each of these items, as it relates to your personal needs. Will you create a professional looking brochure and how will it sell my home? A Real Estate Professional should create a piece that makes the most of quality, design and words, so that your home's best features are presented. It should give the buyer all the information they need at a glance. Can you explain your position on open houses? Will they be public, broker-only or by-appointment? How will this help to sell my home? Selling your home for the best price involves more than placing a sign on the lawn and having an open house every Sunday afternoon. If too many open houses are held, a home could be perceived as a loser, making it ripe for low-ball bidders. Be sure that your Real Estate Professional has a reason for an open house plan of action. How do you plan to advertise my home? Ask to see the plan (including ads) for your home, which should include the latest technology (Internet, fax, toll-free hotlines), combined with more traditional vehicles of newspaper and magazine advertising. How will other Real Estate Professionals be advised of my home? While a Real Estate Professional uses the Multiple Listing Service®, he or she should have a network in place to present your home to additional Real Estate Professionals. Exposure is the key to any home sale. Often, another Real Estate Professional's client is looking for a home just like yours. How will you help me in staging my home? To make the most of your home, You will want to present your home in the best possible light for potential buyers. Your Real Estate Professional should not be afraid to tell you about the positive areas of your home, while suggesting improvements to the negative areas. If he or she does not mention the subject, it is likely he does not have this in his toolbox. You should expect a confident and competent Real Estate Professional to provide you with workable ideas to make your home more salable. Be sure to tell your Real Estate Professional how you would like to receive regular communication, whether weekly, daily, via letters, Internet or phone. Or, would you rather meet in person? Since you are dealing with one of the most important investments of your life, you deserve all the time and attention you need and want. How did you arrive at the listing price? The right or wrong listing price affects the length of time your home stays on the market and ultimately, your net profits. If a Real Estate Professional suggests too high a price, your home could languish on the market. At the same time, do not settle for a low price, to sell too quickly. Your Real Estate Professional should be able to justify the price with a comparison to other properties and the market. What if I need other resources? Your Real Estate Professional should have a network of professionals in place to assist you with other items you will need, including mortgages, home inspection, carpet cleaning and carpenter. While you are not obligated to choose any of these people, it is likely your Real Estate Professional has established a relationship with these people that is reflected in the referral. How long was your home on the market? Do you feel the Real Estate Professional priced it realistically? What was it originally listed at? What was the selling price? What type of marketing did the Real Estate Professional do? Did the Real Estate Professional suggest how to make your home more marketable? Did the Real Estate Professional keep his promises? Did he do what he said he would do? Were you kept informed along the way? How often did you talk? How many offers did you get? During the closing process, did the Real Estate Professional have good customer service? What did you like most about the Real Estate Professional? Was there anything about the Real Estate Professional that you didn't like? Would you use this Real Estate Professional again? What is involved with the listing agreement? This is a very important step. Before you sign, be sure you understand every detail of the contract. This is a legally binding document, which places responsibilities on both the Real Estate Professional and the seller. When does the listing agreement begin and end? Details and dates are important. In a dispute, these items could determine commission payments. Generally speaking, three months is sufficient for a listing agreement. Be wary of a Real Estate Professional wanting a longer period without a valid reason. What are your commission fees? These fees are negotiable. You should also weigh the merits of each Real Estate Professional's fee versus the benefits he or she provides. Be wary of a Real Estate Professional who is willing to reduce their commission, up front. Perhaps he or she does not intend to spend the time, effort or money to sell your home. Do I need to consider any other fees or charges? Additional items could be title insurance, closing costs, pro-rated insurance, taxes, rent, inspections, levies, etc. Be sure that your Real Estate Professional explains any of these costs that could affect your bottom line. Do any disclosure laws or zoning restrictions apply to my home? A Real Estate Professional should be familiar with any provincial or civic laws and restrictions that apply to your home and neighbourhood. They should also have the necessary disclosure forms required when selling or buying a property. How do you qualify potential buyers? Your Real Estate Professional should be proficient in determining whether a potential buyer has the desire, means and resources to purchase your home. This way, you will not be spending your valuable time with dead-end offers or deals that cannot be closed. What happens if my home does not sell in the specified time? What happens if I change my mind about selling my home? These items should be clarified in the listing agreement. A listing contract may also contain a "liquidated damages" clause, meaning that you could be liable for a dollar amount, should you take your home off the market before the listing expires. Am I comfortable with this Real Estate Professional? You should ask yourself this very important question. Are you comfortable with his or her personality and how he conducts business? When it comes to your investment, do not settle for anything other than honesty, respect and integrity. If you do not like this person, choose another Real Estate Professional. The last thing you want is a personality clash when you are trying to sell your home and maximize your equity. 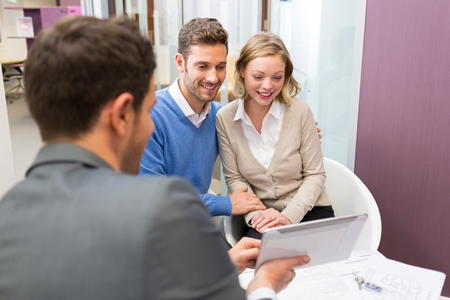 Your Real Estate Professional should look after your interests!